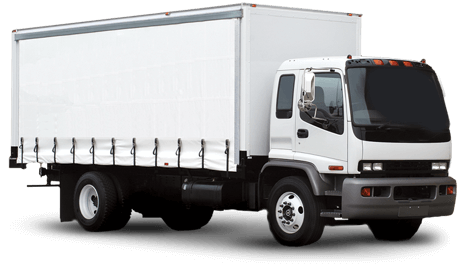 Special: FREE Rental Truck Program & $1 Move In GET YOUR COUPON NOW! Coupon is for selected unit and must be presented at time of first inquiry and cannot be combined with any other discounts including reservation. The coupon is for new customers only and Expires 30 days from print date. Next Door Storage has 13 locations across Illinois to serve all your public self storage needs. It doesn’t matter if you need long term, short term or seasonal storage, we have something for you. From mini units to large warehouse spaces, our facilities have options that will work best for your unique situation! We have 13 great locations to serve you all in and around Chicago, Illinois. We offer all of our tenant convenient ways to pay your bills online. Our Storage Calculator will help you find the right specification unit. Very knowledgeable and friendly staff, and a very good deal on the storage space compared to other options nearby. Well maintained and easy to rent! Perfect amount of storage space for a great price! Plus it is easy access and everyone is so friendly! The people are friendly and great to work with! They are very nice and always willing to help where they can. The storage unit is great and a good price. We're the top choice for all your storing needs in Illinois! Whether you need public self storage for your home, business, or even vehicles, there’s a Next Door Self Storage location that will be a great fit for you. And, with our long access hours (in some cases even 24-hours a day), you never have to wait long to access your belongings. We always strive to offer the most complete and convenient storage experience possible to all of our renters, so reserve a unit today or come to one of our facilities and see what sets us above the competition! It doesn’t matter if you need a place to store extra clothes, an entire business-worth of equipment and inventory, or your boat, car, and RV; the self storage facilities of Next Door Self Storage will have space for you. We offer climate controlled and drive up access units for your convenience, and our facilities are well lit and secure. No matter what you store with us, you can rest easy knowing that we are keeping your valuables safe. We look forward to speaking with you!